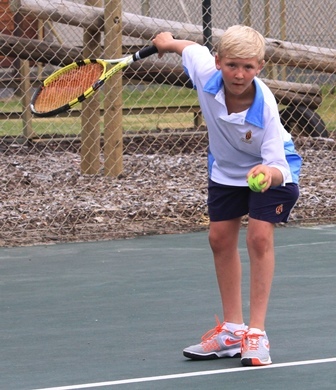 Tennis at the Prep School during the first and fourth terms and is divided into 2 groups – according to ability. From the stronger group we draw up a ladder and it is from this group that we choose 8 players to represent the school in matches, which take place on Friday afternoons. The other group are taught the basics of the game and have supervised practice games to improve their tennis.